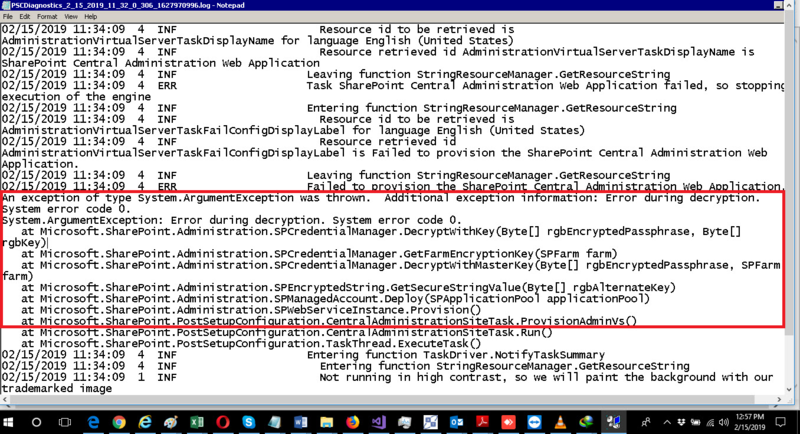 I am running SharePoint 2010 Configuration wizard to check for errors and I am getting following error in Log. Actually I was trying to deploy WSP via Update-SPSolution. Error during decryption. system error code 0. When I try to update WSP by Update-SPSolution or run any other SharePoint command. Browse other questions tagged sharepoint-online sharepoint-enterprise sharepoint-designer sharepoint-server sharepoint-foundation or ask your own question.